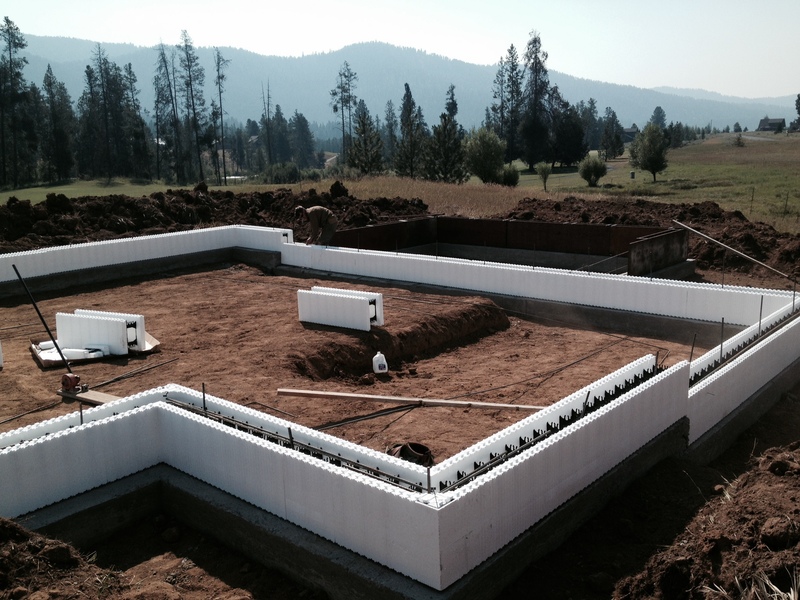 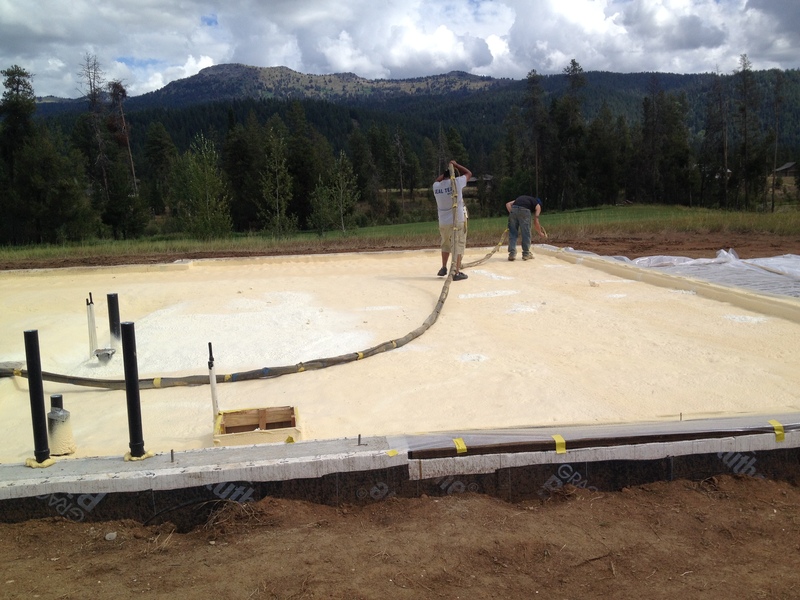 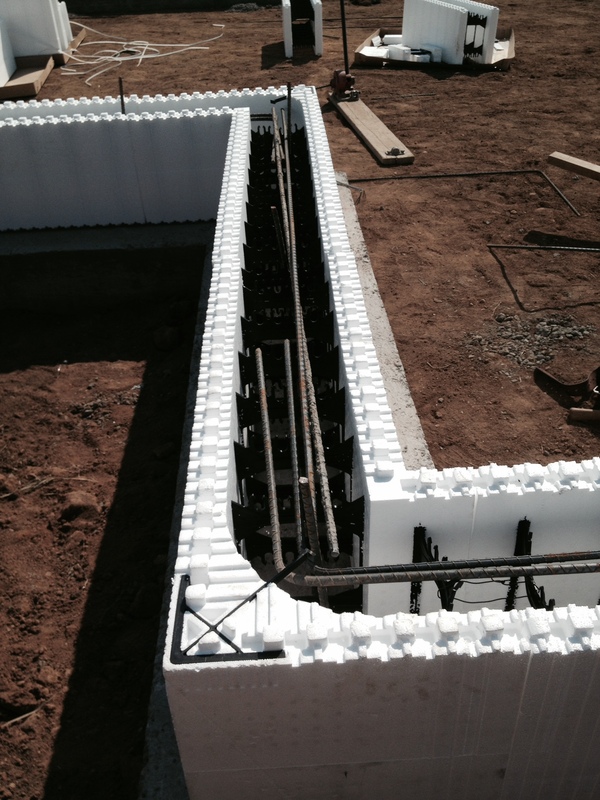 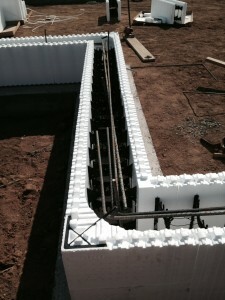 We start with Insulating Forms for our foundation walls–this keeps cold from ever penetrating the concrete and keeps your house that much warmer. 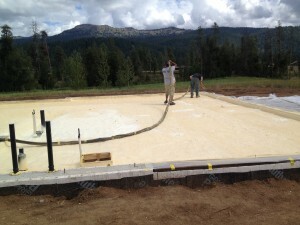 Then a layer of high density foam under the entire floor wraps the foundation in a warm blanket of tough insulation. 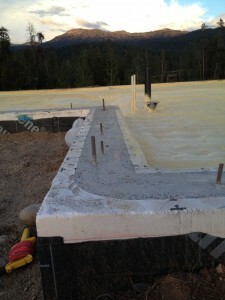 The foam layer is also a vapor barrier so never need to worry about moisture or mold. It is also a radon barrier and keeps the indoor air healthy.